City Mouse was formed when Miski Dee Rodriguez walked away from her hustle and bustle corporate world in Los Angeles, CA and sold her soul to rock n’ roll. Touring relentlessly for the past 10 years, the band has played their hearts out across the U.S., Canada and Mexico. 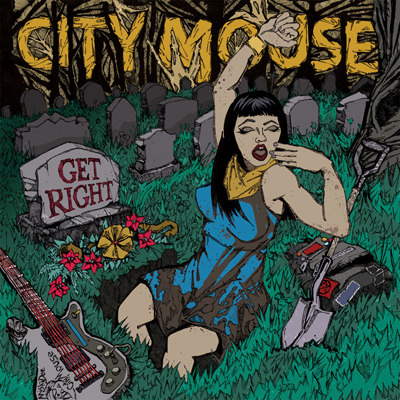 Though City Mouse has released several singles over the past decade, Get Right stands as the band's first full-length album. The new album, produced by Mass Giorgini (Screeching Weasel, Alkaline Trio, Rise Against), delivers on an emotional level that pushes and pulls at your heart with every note and word. Whether empowering or heartbreaking, each song is crafted and played with an honesty and passion that commands attention and draws you in deeply.